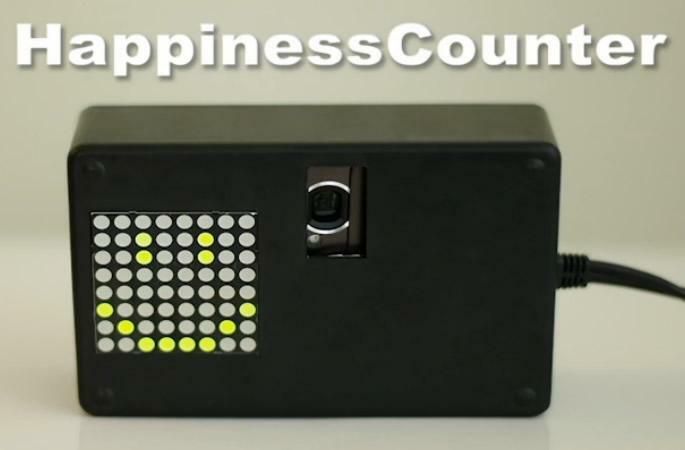 Developed by a group of researchers at the University of Tokyo, the team developed a device called the “Happiness Counter” that utilizes smile recognition to trigger specific actions. 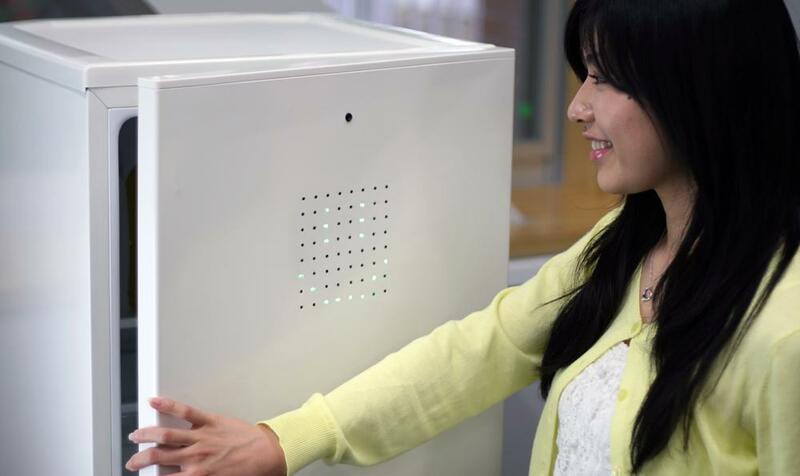 In order to test the device, the researchers attached the “Happiness Counter” to the front of a refrigerator and asked participants to smile each time they wanted to open up the fridge to grab something to eat or drink. Over a period of ten days, the researchers noticed that the participants shifted from a fake smile to a genuine smile in order to access food within the refrigerator. In order to build the “Happiness Counter” for the test, researchers enclosed a Sony CyberShot point and shoot digital camera within a black plastic compartment. Like many other digital camera brands, Sony includes a smile recognition function that will automatically take a picture when the people in the shot are smiling. Nearly covering the LCD screen of the Sony CyberShot camera, the researchers attached a light sensor. When the camera automatically detects a smile and takes a picture, the light sensor picks up the flash of light and relays information that turns on the LED lights on the front of the device in the shape of a happy face. When the system detects someone that’s standing in front of the camera and isn’t smiling, the LED lights will create a frowning face in red.